"Grand Circle B & B Epitomizes Relaxation"
We had a phenomenal two-day experience at the Grand Circle B & B. It was the third time we've stayed there and every occasion was exactly what you look for in a B & B stay. In fact, they exceeded our expectations every time. From the peaceful decor and comfortable beds, to the shower with a sit-down bench, to the friendly and accommodating staff, every detail is perfect. The wifi was flawless. And the breakfast part of B & B? Phenomenal. You don't often get the benefit of eating breakfast fare produced by an elite Chef, but with Grand Circle, you do. When you pass through Kanab, or if you're planning a vacation, do what we did and skip the motel vagaries and stay with Grand Circle. You'll be glad you did. "What a lovely B&B in Kanab"
Our room was clean, very comfortable, and complete with its own bathroom and clawfoot tub. My kids enjoyed playing board games and listening to records in the common area. And the homemade breakfasts (made by the owner's mother) were fantastic! Greeted by owner & daughter an hour prior to check-in & was allowed access to room. Room was in great shape, but it & balcony were very warm until the sun went down. Room has black out curtain & window a/c. Comfy bed w/choice of down or foam pillows & excellent quality sheets. In original part of the house, so stairs were very steep & narrow. All common rooms in the house were clean & decorated nicely. Outside was well maintained with multiple small patio settings, fire pit & gazebo. Osage orange tree could create a problem it one of the oranges fell from the tree & hit a guest. Breakfast was excellent & the cook Berlinda was exceptionally nice & personable. Elizabeth and Shon provide world class service in an atmosphere that is cozy and elegant. 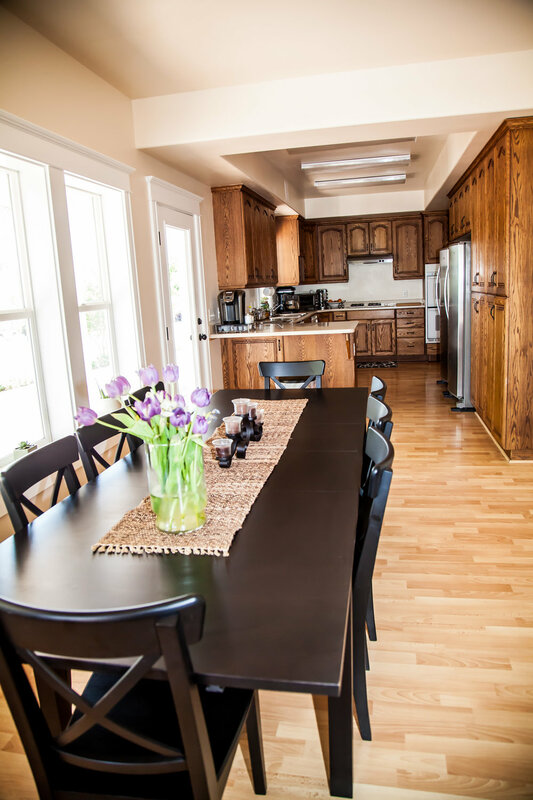 This Bed and Breakfast definitely makes you feel as though you were home away from home! Dozens of our clients have stayed there, and they always come away feeling so very taken care of! It is off the beaten path, (but not too far) and therefore you can hear the birds singing instead of the highway noise. If you are looking for a quiet, thoughtfully appointed place where you can get away from it all, I would highly recommend the Grand Circle.